From the Tony and Pulitzer Prize Winning writer of "August: Osage County" and "Man From Nebraska." If you looked back on eleven moments from your life, would you recognize yourself, or would you see a stranger? Mary Page Marlowe is a seemingly ordinary accountant from Ohio who has experienced pain and joy, success and failure. In this sweeping but intimate play, Tracy Letts gives us a haunting portrait of a complex woman, demonstrating how a series of forgotten moments can add up to one memorable life. Every performance day, on a first-come, first-served basis, a limited number of $20 mobile Rush tickets for "Mary Page Marlowe" will be made available. To unlock this feature, Second Stage Theater simply requests that you spread the word on social media through the TodayTix app. Once you unlock, the feature will remain unlocked for that show until you make a purchase. Unlocking does not guarantee availability for that day. Tickets are available on a first-come-first-serve basis. Rush price is subject to change. Mobile Rush will not be available on 7/8, 7/9, 7/10, 7/11, 8/17, 8/18, or 8/19. Company may offer programs whereby the Company would make available certain features of the Services when you share information about the Services through an SNS or click on the “Unlock without sharing” button in the Application. 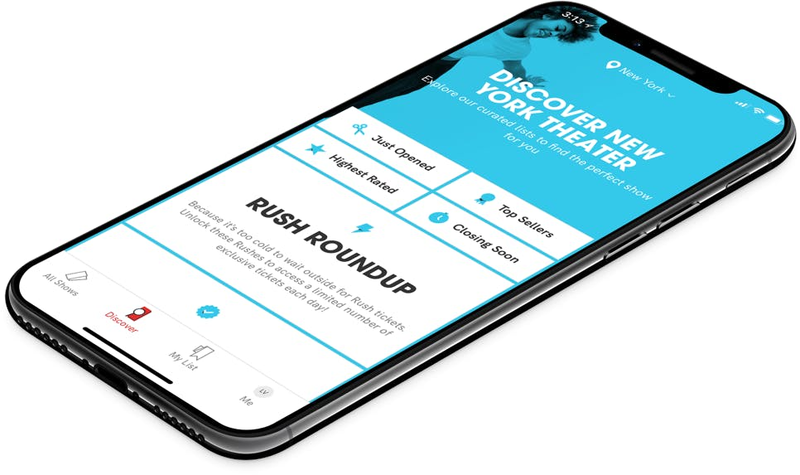 When you are considering purchasing a ticket for a specific show or after you purchase a ticket, if you select the “Share” button in the Application, Company will make available to you a personalized link to a Digital Property with text stating, for example, “Check out Mary Page Marlowe on TodayTix! I’m thinking of going…” or something similar, which you may choose to share with your friends via SNS. Once you have shared the personalized link through an SNS using the Application or selected the “Unlock without sharing” button in the Application, Company will make available to you the RUSH feature, which will provide you with otherwise unavailable offers for tickets to live events occurring in the next week. The opportunity to take advantage of these offers is only available to users who share a personalized link to an SNS through the Application or select the “Unlock without sharing” button in the Application.